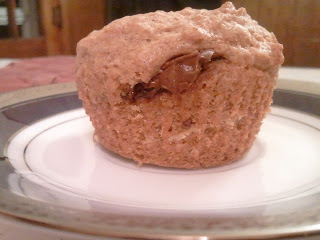 Inspired by Strawberry Nutella Muffins, my mission was to make banana muffins with Nutella and keep it vegan. When I looked up "is Nutella vegan?" I find out that it's not. Well, good thing I'm not vegan. This veggie girl ain't givin' up her Nutella. Oh no, I just said "ain't" on my blog. Please don't leave me. 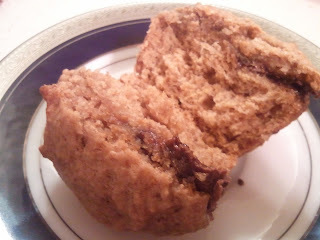 In any case, instead I made vegan banana muffins (with Nutella). If you're vegan, you'll have to leave the Nutella out. 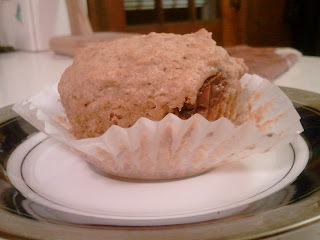 Of course, you could use regular banana muffins if you do include Nutella because it's all a wash at that point. Do I make sense? No? Okay, great. 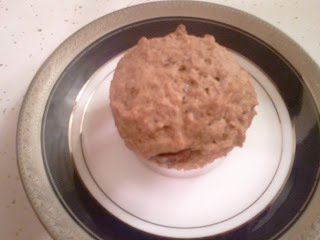 For the record, I also looked up various recipes for vegan muffins and banana-Nutella muffins but didn't like any of them, so I bastardized them all into my own. 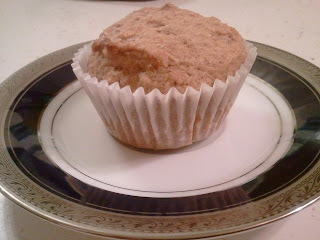 Muffin liners seem silly to me, but my hubby does dishes and I love him. Therefore, I line my muffin tins. 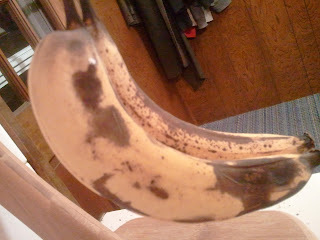 Use old bananas! Not like "oh, there's a tiny spot and I don't like soft bananas." Wait until they're really gross and bruised, maybe even molding a little. Then wait another day. Then you can bake with them. Mash bananas and mix in oil. I don't love cooking with oil over butter, but I refuse to buy vegan margarine. As a non-vegan, I believe in butter. All hail butter. Add sugar and brown sugar. Something about this mix just feels right. If it works for chocolate chip cookies, it's good enough for you. And me. And muffins. 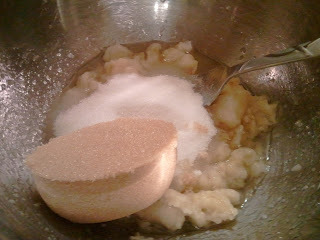 Add the dry ingredients and mix it all up. 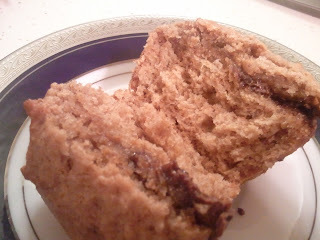 This looks thick and I thought of add almond milk, but then I remembered that banana bread batter always looks too thick. I'm glad I resisted. One tablespoon of batter in each liner. Then half a teaspoon of Nutella. 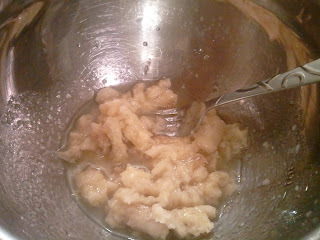 Then another tablespoon of batter. I don't usually cook this precisely, but I thought this might be helpful for those of you who do. Bake until pokeable. (That is, a fork or knife or something comes out cleanish.) 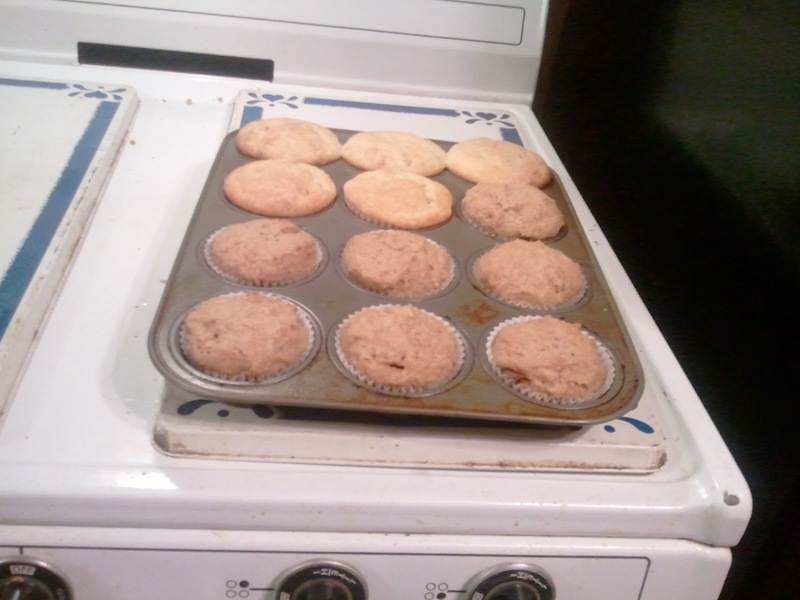 The muffins in question are the front seven. The back five are Mr. CookingOnSkates' Jiffy muffins. More about those next week. I had a hunch that these would be so good that I got out wedding china to photograph them on. For real. There's something almost suggestively naughty about this and I don't care who knows it. 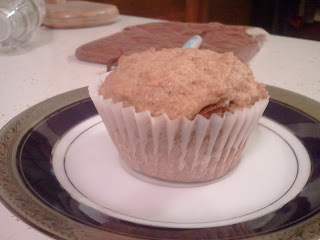 There may have never been a happier muffin. 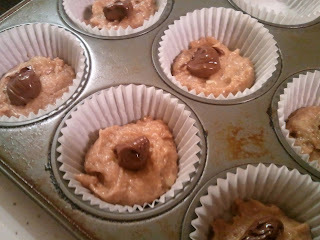 If you think I'm crazy, I dare you to make these and prove me wrong. 2. 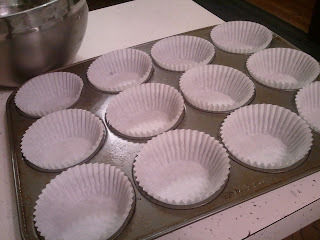 Line or spray muffin pan. 3. Mix all wet ingredients but Nutella. 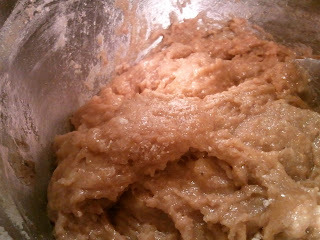 Then add all dry ingredients and mix wel. 4. Fill muffin tins halfway with batter. 5. Add a little Nutella to each muffin. 6. Top with more batter. 7. Bake until starting to brown.